Few artificial intelligence examples out there show what their underlying technology looks like. Hence, in this two-part article, we will show how to build a smart search service to serve as an image search tool, not just based on the title but also on image content. This app will mainly use React, Cloudinary and Algolia Search. In this first article, we will be building the parent component of our app, which is a stateful component. Node.js is used to build the backend server in this service and its package manager npm is required to install essential node modules for this project. Versions of both tools should display on your console. 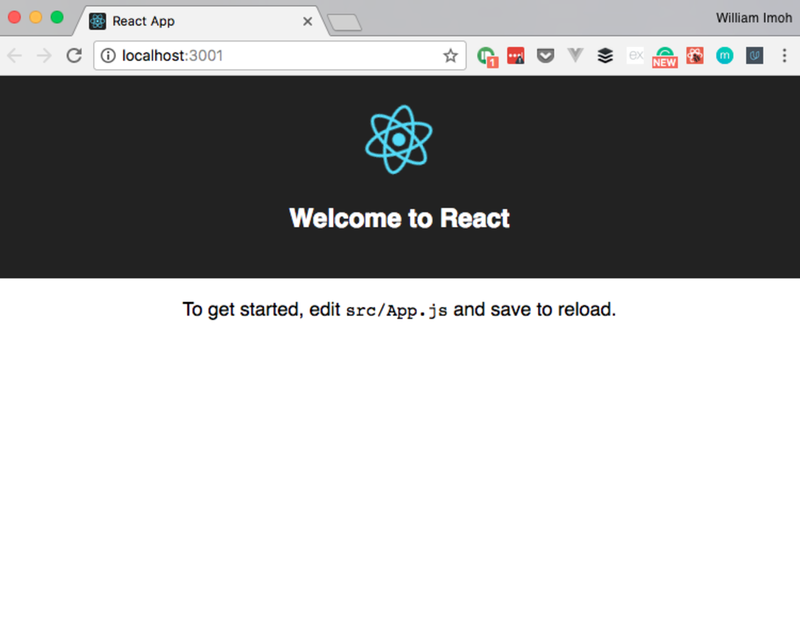 You have successfully created a simply React app. Now we will tailor it to our app, which has two primary functions - upload and search. Using the —save flag ensures that the dependencies are saved locally in the package.json and can be found in the node_modules folder. Still, in the index.html file in the public folder, you can change the title of the page to whichever title you prefer. Now that we have all dependencies installed, it would be nice to build out the front-end first, before building the server on the backend. In the front-end part of our image search tool, we will be making use of the React component architecture, which includes the stateful and stateless components. In the app currently, the create-react-app tool has helped with creating a singular stateful component in App.js and its corresponding CSS file App.css. This is where the majority of the stateful configuration will occur. For the stateless components, we will require components for the images modal and imagelist. In the src folder, create a folder called components. In the components folder, create the required components - Modal.js, ImageList.js and their corresponding CSS files - Modal.css, ImageList.js. Now we have all the build files required, we willl develop the parent App.js component.! React, axios InstantSearch, SearchBox, and InfiniteHits are imported, as well as the components created (ImageList and Modal). Also, the style sheet for the parent App.js file is imported. Next, we configure the App component. The App component is merely an extension of the React component class with defined constructor function and methods. The state of the app is defined in the constructor functions, as well as some required properties of the App class. In the App class, create a constructor function, and in here the state variables will be defined, as well as constructor properties. modalisActive: This represents the state of the modal used in uploading the images, it is assigned a Boolean and when it is true, the modal should be open and vice-versa. preview: This is the URL of the uploaded asset available for preview. previewPublicId: PublicId assigned to the uploaded image and serves as a unique identifier for each image. description: A user-defined description for the image. previewPayload: Once an image is uploaded, the data received from the Cloudinary servers are assigned to the preview payload. pending: This is used to create some “blocking” ability in our app to prevent some other process from running when pending is true or run when pending is false. Now we have our state props defined, let’s define some key constructor variables we will require in our app. First, we assign the webtask address for our server to the requestURL variable, find out about webtasks, serverless architectures and how to create a webtask here. However, you may want to hold off until the server is built at the end before shipping to webtask. The Cloudinary property is called on the window object and assigned to this.cl. Now we can use the Cloudinary upload widget to handle uploads from both filesystem sources, URL and camera! The createUploadWidget method is called on the Cloudinary window object and assigned to the this.uploadWidget variable. In createUploadWidget, the first parameter is an object of user details obtained from the Cloudinary dashboard. Create an account on Cloudinary and navigate to the dashboard to see your cloud name and upload_preset. The second parameter is a callback function with error as its first parameter and the returned data array as its second parameter. The toggleModal() function is used to change the state of the modalisActive so whenever the function is called the modal box is closed or if it is closed the modal box is open on the function call. Sounds like a good feature for close and open modal button. The handleDropZoneClick() function takes event as a parameter and executes the open() method on the Cloudinary uploadWidget window. What are we trying to save? The payload, in doing that the Object.assign() method is used to transfer the source object(second parameter) and the value of this.state.previewPayload into the object, payload. When saving the image, other possible operations are paused so the pending value is set to true and Axios is used to send a post request to the API endpoint on the server handling image receipt. Since this is an asynchronous operation the .then() method is used to change the state of the pending to false (so it is back to normal) and the modal is closed by calling the toggleModal() function. Let’s render elements to the DOM. So far we have been able to build out the app structure for our image search tool with the main focus on the stateful component, App.js. In part two, we will show how to develop the stateful components required to render the images and the upload modal, as well as the backend server to handle requests and responses from Algolia-search, even though the server will ultimately be bundled into a Webtask.